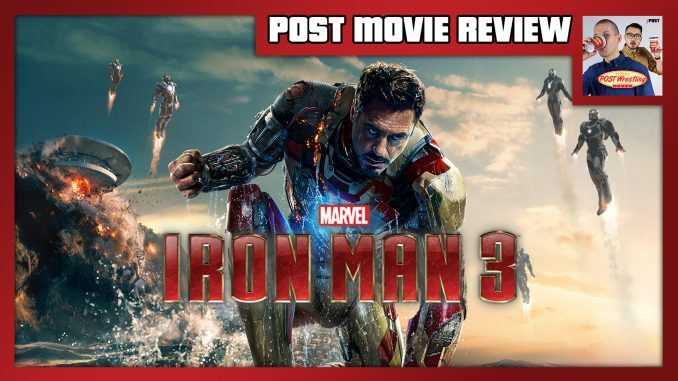 John Pollock & Wai Ting review the seventh Marvel Cinematic Universe film, Iron Man 3 (2013). In perhaps the most critically divisive film of the trilogy, we discuss why director Shane Black took over for Jon Favreau, the performance of Robert Downey Jr. as a PTSD-suffering Tony Stark following the events of The Avengers, the controversial swerve involving Ben Kingsley’s The Mandarin, Guy Pearce’s Aldrich Killian, and more. To listen to our previous MCU Movie Reviews, click here.